We have Sous Vide now! Sous Vide came to our kitchen! 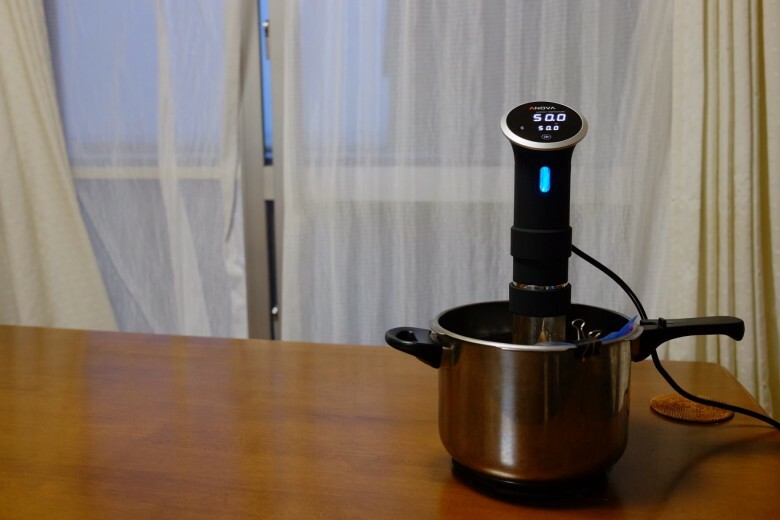 I stumbled on the idea of sous vide cooking a while ago. After some research, I figured this is a way to go. And here it is. The idea is to bag the food in a zip lock, air sealed, and cook in a water with a controlled temperature. Every other cooking basically gives high heat like, 200C or more to the surface until the internal temperature reaches a desired temperature, like 60C. It takes skills and experience to know the right timing, which is hard to acquire for home chef. But with Sous Vide, you set the goal temperature and this machine keeps circulating the water at that temp and cook everything in it at that temp. No risk of overcooking or undercooking. No more tough steak! The idea sounded so revolutionary to me. 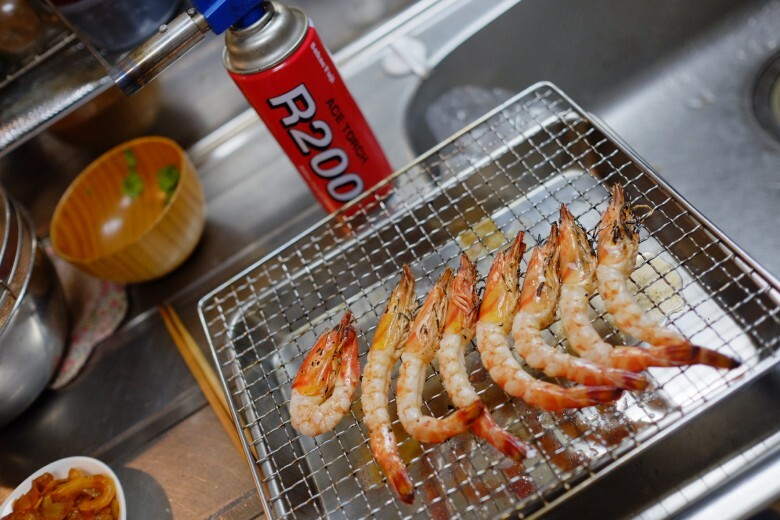 Today for my first sous vide cooking, I bought some Japanese tiger prawns from Tamaya in Ginoza. High quality Ike-Jime prawns straight from the firm. 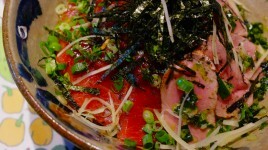 These are sashimi quality. 50C degrees for 30 minutes. I seasoned with some salt and olive oil before I bagged the prawns. The only disadvantage of sous vide is that the low temperature cooking takes time. For an inch thick steak, it takes an hour at least. 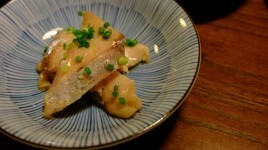 But seafood in general is easy to penetrate heat, and 30 minute was just enough. You just let it bathe and you can do other things while cooking. After sous vide, I grilled just the surface with a torch because I still want a little crisp on the outside. 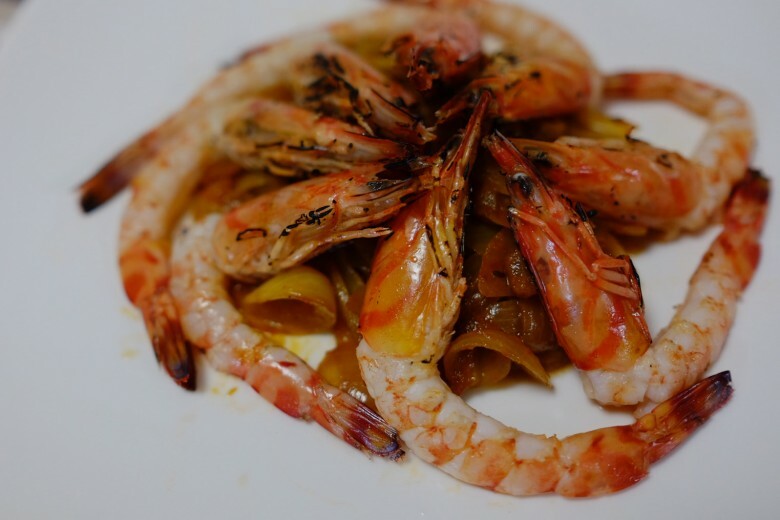 We had some shrimp curry sauce so we pan-fried onions with it for the sauce. Oh my goodness. The prawn was so tender and juicy. And the sweetness! 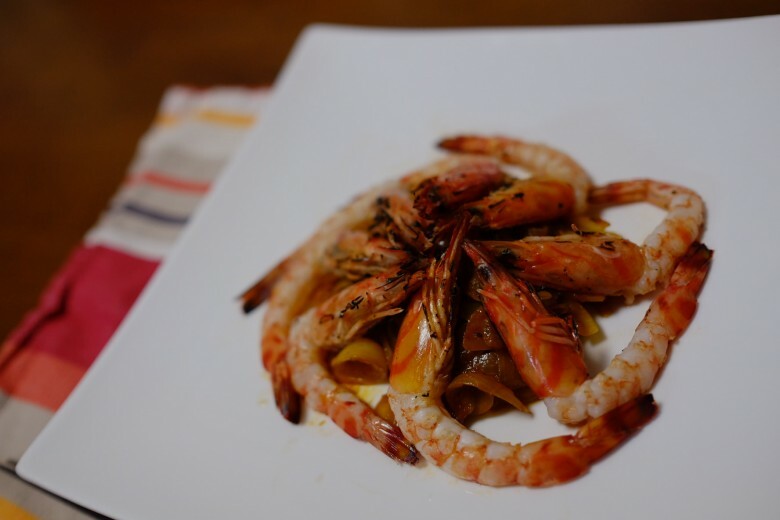 We’ve had this local prawn for so many times but we didn’t know it had so much sweetness in the meat. As I suspected, we learned we have overcooked prawns all this time. Also, you can’t get this sweetness in sashimi either. 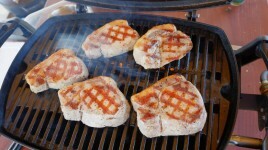 It’s got to have something to do with enzyme in the meat that may have been activated at the temperature. Anyway, we are sure that we will have some great time with this new toy. 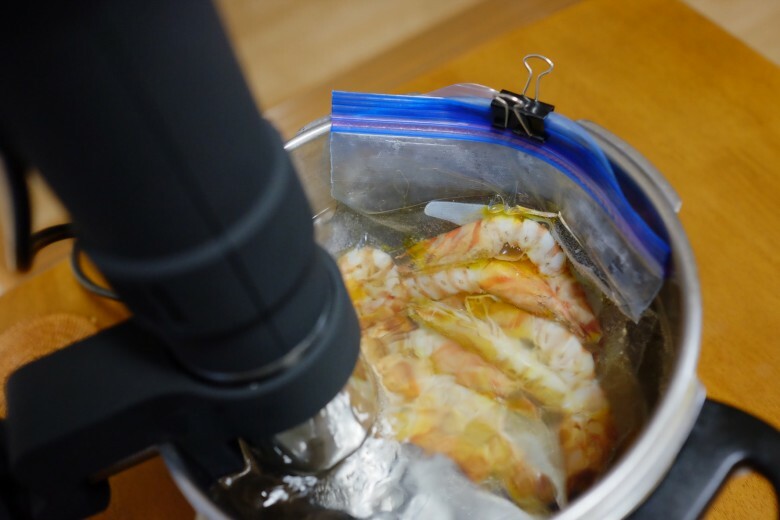 ChefSteps has a great coverage on sous vide cooking if you are interested. I bought myself the same one a few weeks ago. I’m addicted to it! I want to use it all of the time! Delicious steak and pork! I currently have some beef short ribs cooking for 72 hours, yikes! 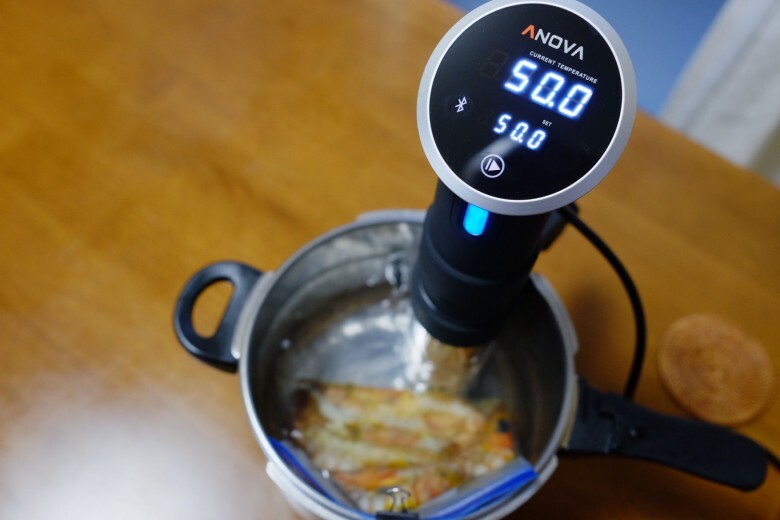 Would look forward to seeing what other seafood items you sous vide. Love your blog as always. Hi Kacey. 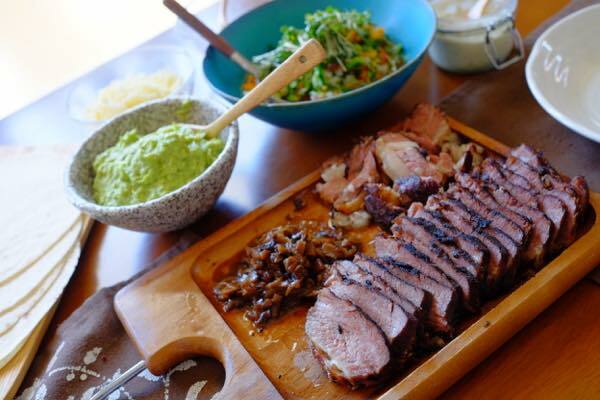 You got sous vide! Congratulations! You did short ribs too??? Yea! I recently did my first short ribs too! I couldn’t believe my creation. It was so heavenly! I’m trying a lot of different recipes with meats and fish. I will post once i get a hang of it.